Can you describe what happened at the CCAMLR meeting (October/November 2017) in regard to developing a ring of marine protected areas around Antarctica? Which countries were most supportive to get this goal achieved? 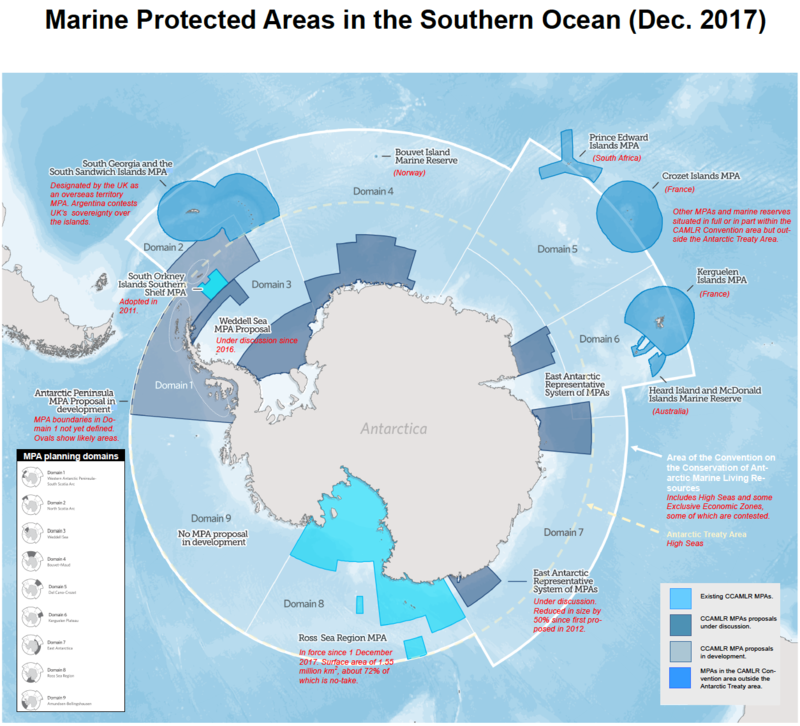 “In 2017 CCAMLR and its Scientific Committee discussed three proposals for marine protected areas around Antarctica, or MPAs, in East Antarctica, the Weddell Sea, and the Antarctic Peninsula. Each of these proposals is at a different stage with respect to their design – issues such as location, boundaries, zoning, management, etc.- and also at different stages of the formal process of adoption. 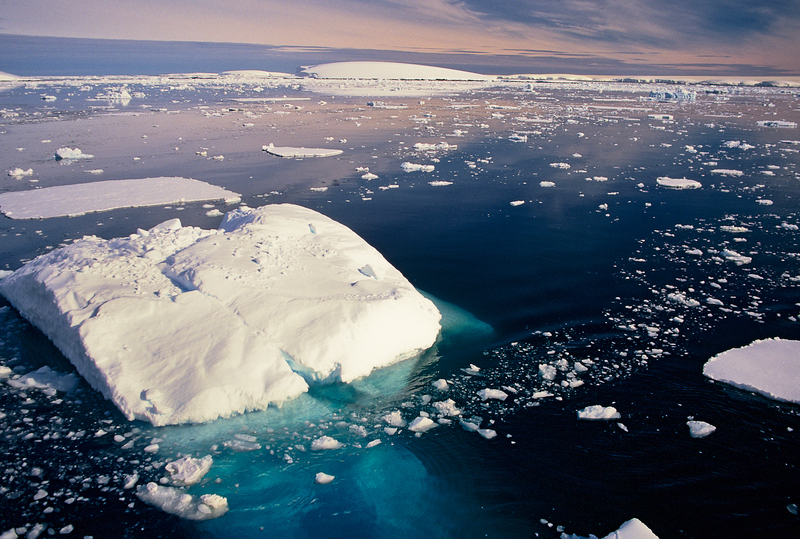 A proposal for an MPA in East Antarctica is ready for adoption. 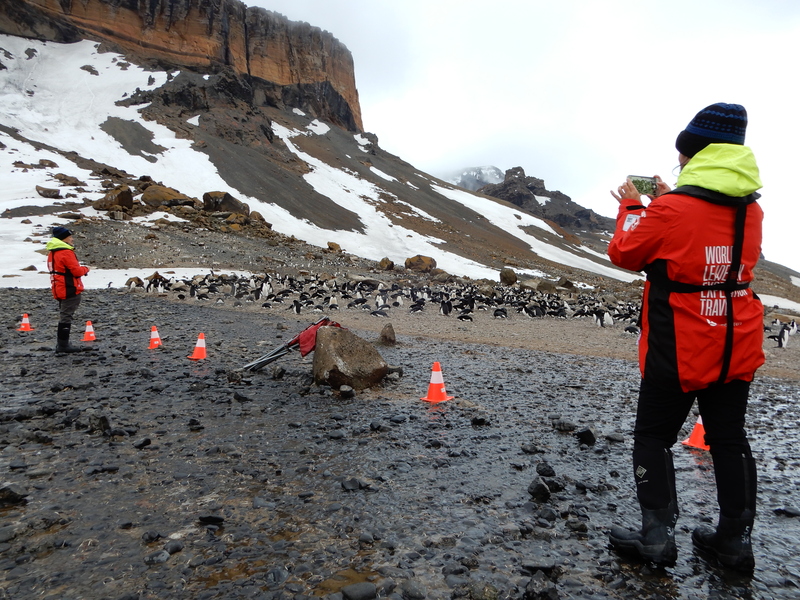 It was put forward by Australia, the European Union and France and has been discussed formally since 2012 – that is numerous six regular CCAMLR meetings, plus one special meeting! In the intervening years, it lost nearly 50% of its original proposed surface area. Still, the current proposal adds extra protection for nearly a million square kilometres of ocean and provides a vital sanctuary for key feeding and breeding areas as well as critical species habitats. In 2017 there were good faith attempts by delegations to address the concerns put forward by Russia and China, but these remained unconvinced and CCAMLR could not reach consensus. However, there was an extraordinary show of support of the proposal with more than 20 delegations speaking in favour of adoption. These included not only MPA proponents but also some fishing nations. assessing stocks for future commercial exploitation. In the past, Norwegian representatives have raised issues concerning the data used in the design of the proposal and wanted the inclusion of some Norwegian datasets in the MPA design, and this needed further discussion. It seems feasible that Germany and Norway can come to an agreement in coming months to bring this MPA closer to adoption. complex area. The proponents benefited from the experience of earlier MPAs discussions and took care to be open and transparent, for instance by inviting the creation of a group of experts from many nations to contribute to the MPA design. 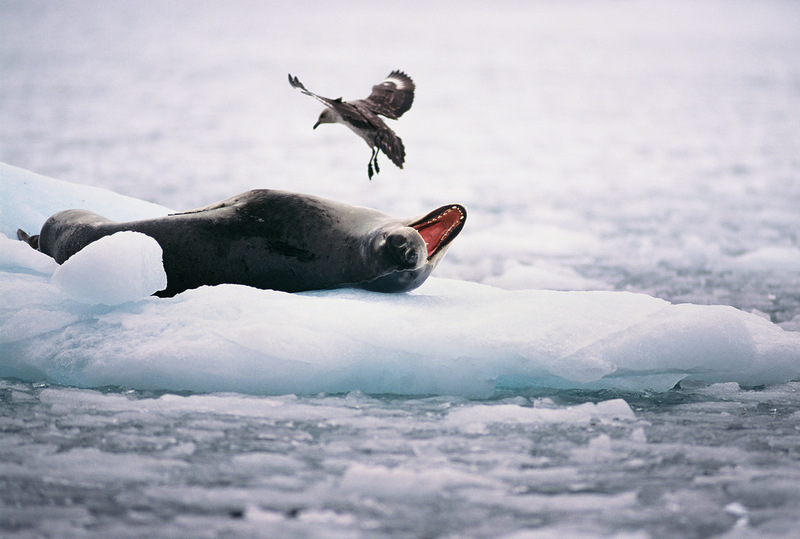 CCAMLR was very positive about the progress made so far. Finally, CCAMLR discussed issues concerning the research and monitoring plan of the Ross Sea MPA, which had been adopted at its previous meeting in 2016 and was due to enter into force on 1 December 2017 (which it did). The official reports of the meetings of CCAMLR and its Scientific Committee are available on the CCAMLR website. The reports summarise the outcome of discussions even though they tend to mask the substance of the debate. In all, the meeting of CCAMLR showed the substantial work done over the past several years by MPA proponent countries; the strong support from many CCAMLR members to the adoption of further MPAs; and also highlighted the difficulties to achieve consensus among the 25 members. Which are the specific areas, which most likely could achieve protection status in the near future? scientific discussions about which areas merit what kind of protection and eventually moves to diplomatic negotiations. There are a number of hoops for each of these proposals still to go through, not least at a higher diplomatic level, but if all member countries negotiate in good faith discussions should lead to a satisfactory outcome. The issue is whether or not, or to what extent, the conservation ambition of each MPA proposal is diluted during negotiations, while still meeting a number of ecosystem protection, scientific and climate change objectives agreed by CCAMLR at the outset of this process. It is important to underscore that environmental groups will not support just any MPA proposal – only those that result in tangible protection of marine life and ecosystems for the long term. What role played IAATO in the CCAMLR meeting or elsewhere to convince governments to support the Ring of MPAs goal? There is a potential role that still needs to be fulfilled in terms of the tourism industry’s active participation and outreach to decision makers to support marine protection. 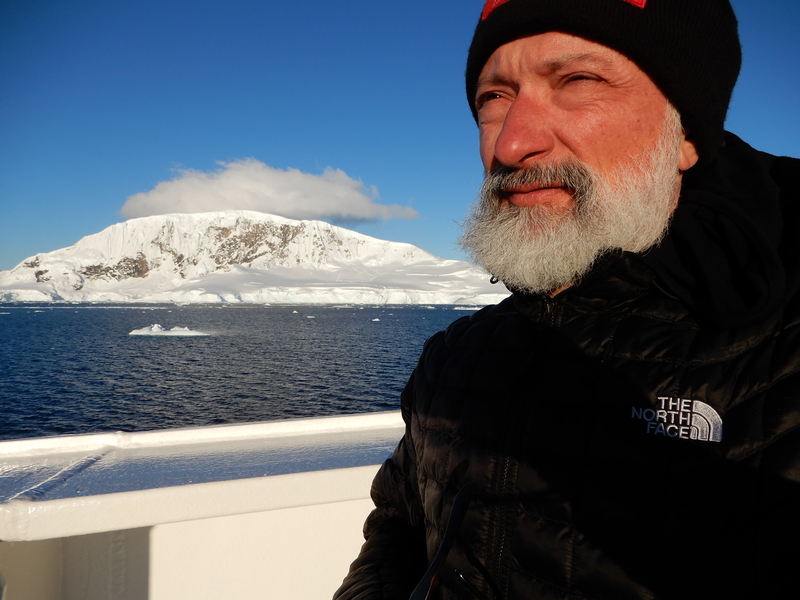 The International Association of Antarctica Tour Operators, IAATO, is an observer/expert in some Antarctic Treaty fora but is not yet an observer to CCAMLR. I believe IAATO is interested in the MPA issue and is following it from the distance, learning about MPAs and trying to assess whether or not the proposed MPAs may affect tourism in the future. 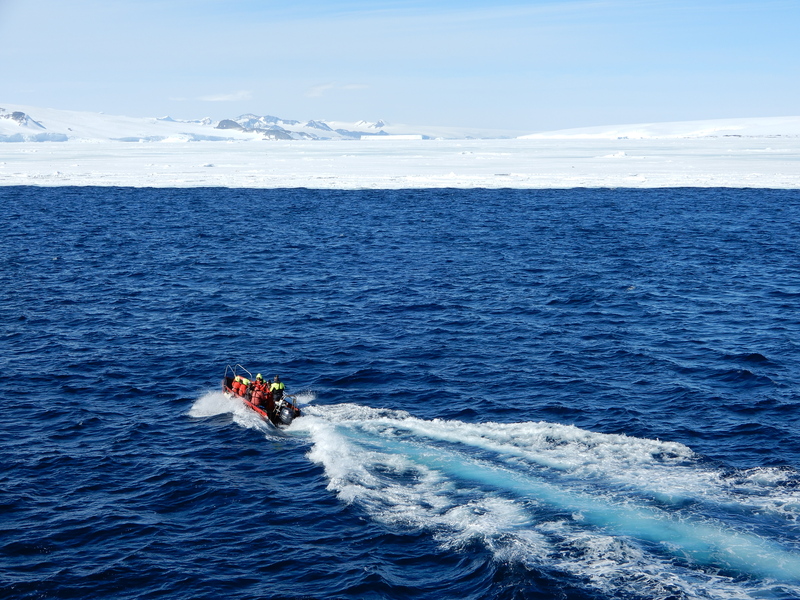 I think the tourism industry will become more closely involved in this process, particularly in the Antarctic Peninsula area where shipborne tourism concentrates. My hope is that IAATO will be a voice in favour of strong marine protection. IAATO members are one of the main users of the ocean and their business depends on the quality of the environment. What should the tourism industry do to be more helpful and influential to achieve more MPAs? I think the tourism industry should reach out actively to decision makers to promote the further protection of the marine environment. It should be made clear to decision makers that the tourism industry is not going to be an obstacle to the adoption of MPAs but rather the contrary, it supports strongly MPAs. Tourism as an activity would benefit from strong protection of marine life and ecosystems. 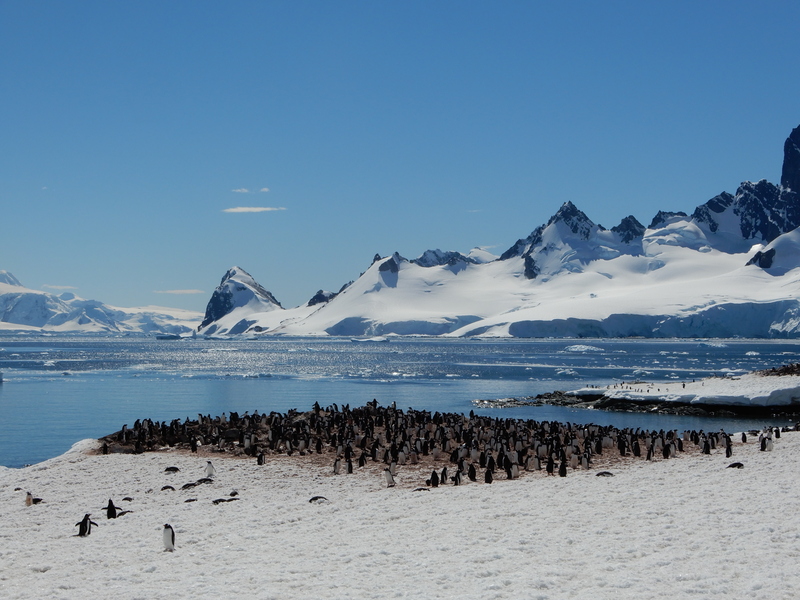 Marine life and the places where it occurs – such as penguin colonies – are key tourist attractions. MPAs are about protecting marine life, about enabling scientific research, and about understanding and responding to climate change – all matters that are highly relevant to the users of the Southern Ocean, particularly those that are interested in being active in the region for the long-run. Could you name specific travel companies active in Antarctic waters as positive examples for others in supporting protected areas? When the Ross Sea MPA was adopted by CCAMLR in November 2016 the Dutch polar tourism company Oceanwide Expeditions (a member of LT&C) issued a statement supporting current and future MPAs. This is a positive example that other companies could follow. Other companies contribute to conservation initiatives in different ways, albeit their support to marine protected areas has so far been less explicit. 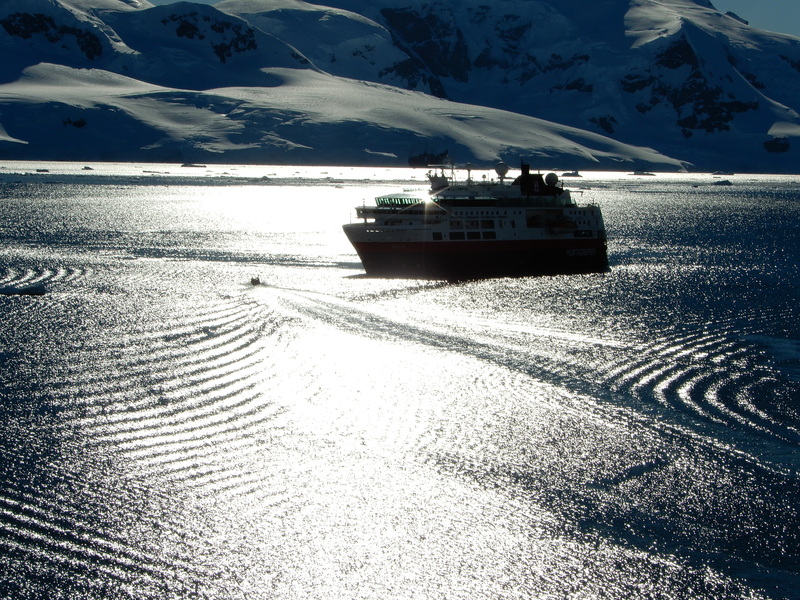 Some companies enable Antarctic scientific work – for instance, whale research. Earlier this year scientists in Antarctica supported by a tourism company attached a camera to a minke whale for the first time, which provided amazing images and valuable scientific information. 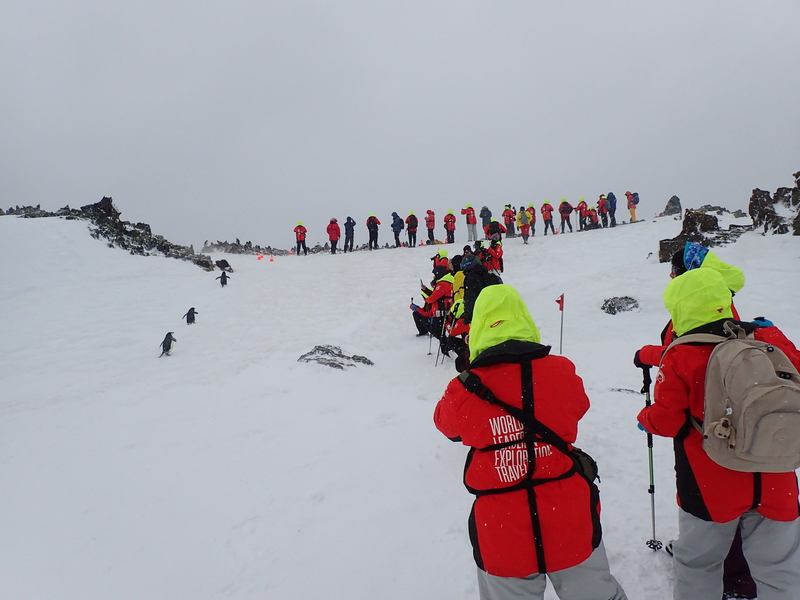 Hurtigruten, from Norway, recently supported the activities of cold water swimmer Lewis Pugh, who has been swimming in Antarctica to promote MPAs. IAATO kindly invited me to their annual meeting in 2017, and I made a presentation about MPAs to its full membership. And there are some more examples. 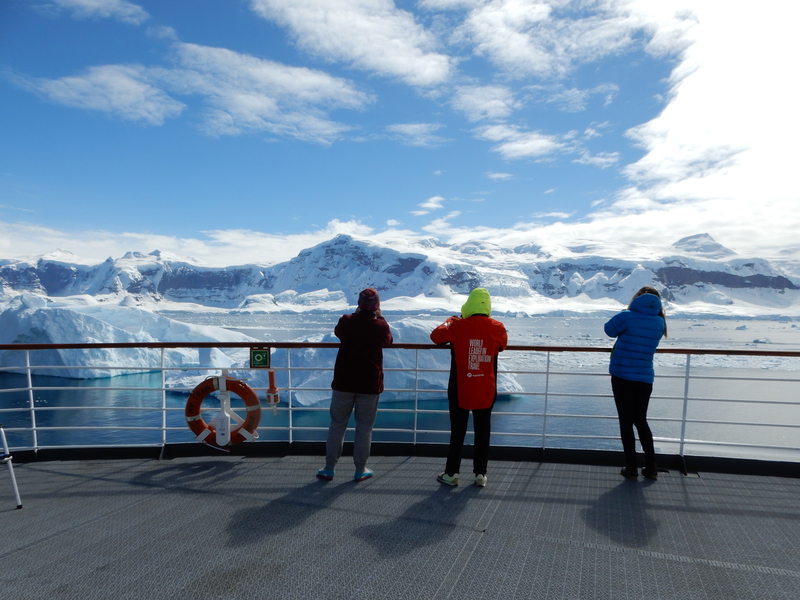 Overall, these are small steps that help to inform and educate the tourism industry, its customers and the general public about marine protection in Antarctica, and they are all welcome. However, we need now a bigger push from the tourism industry, politically.